Houston ( i/ˈhjuːstən/ HYOO-stən) is the most populous city in Texas and the fourth-most populous city in the United States, located in Southeast Texas near the Gulf of Mexico. 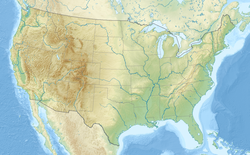 With a census-estimated 2014 population of 2.239 million within an area of 667 square miles (1,730 km2), it also is the largest city in the Southern United States, as well as the seat of Harris County. It is the principal city of Houston–The Woodlands–Sugar Land, which is the fifth-most populated metropolitan area in the United States of America. Houston was founded on August 28, 1836, near the banks of Buffalo Bayou (now known as Allen's Landing) and incorporated as a city on June 5, 1837. 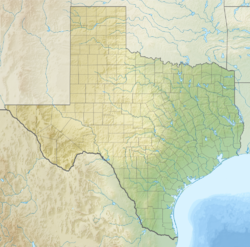 The city was named after former General Sam Houston, who was president of the Republic of Texas and had commanded and won at the Battle of San Jacinto 25 miles (40 km) east of where the city was established. The burgeoning port and railroad industry, combined with oil discovery in 1901, has induced continual surges in the city's population. In the mid-20th century, Houston became the home of the Texas Medical Center—the world's largest concentration of healthcare and research institutions—and NASA's Johnson Space Center, where the Mission Control Center is located.